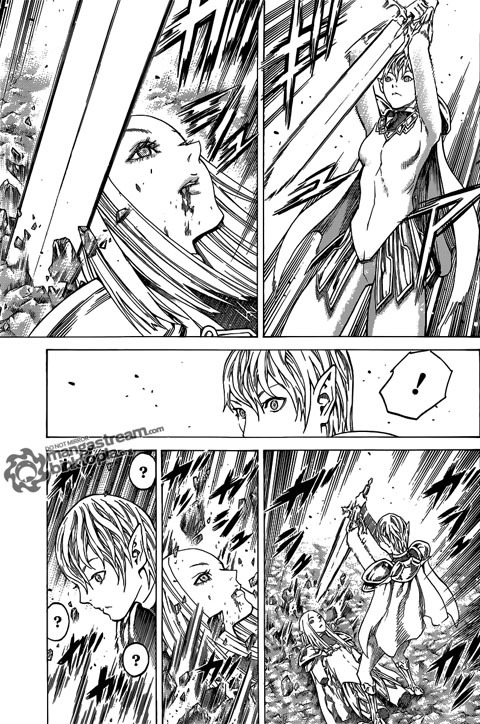 Posted on September 1, 2011, in Chapter Discussions, Claymore, Series and tagged Cassandra, Claymore, Hysteria, Miria, power, Roxanne, seinen. Bookmark the permalink. 2 Comments. LOL, I know I wouldn’t pick Hysteria as my name. I never dare to pick up Claymore manga to read cuz I saw the anime first and I must say I enjoyed it very much. Considering how it ended, I think it differs greatly from manga. I’m a bit worried that it might ruin my impression or something if I read it. From my understanding of the anime, it only really differs in the ending. Everything up until Clare almost awakens is accurate, as far as I can tell.